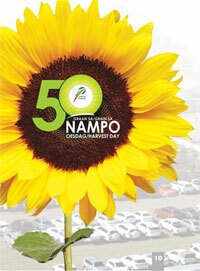 The month of May saw the presentation of the 50th NAMPO Harvest Day breaking countless records despite the drought and the tough conditions which the farmers of South Africa have had to endure this past season. 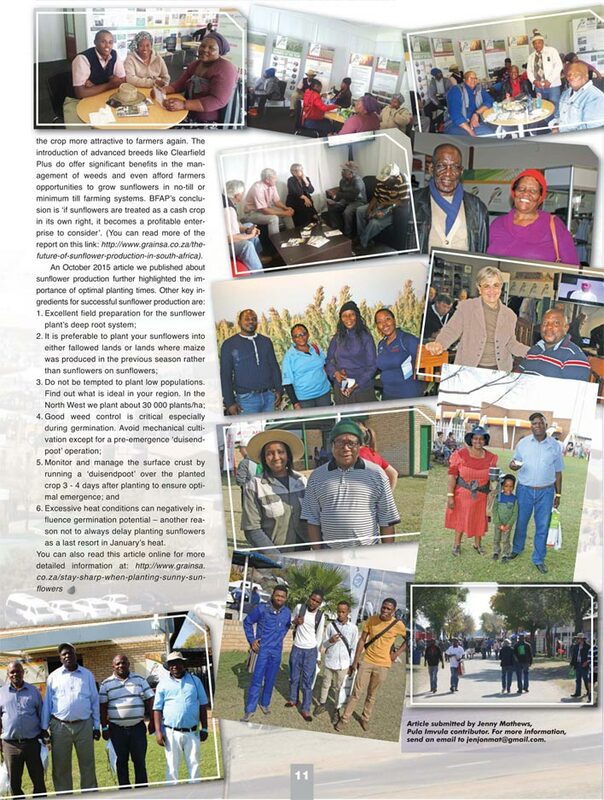 The record attendance figures and positive feedback from both exhibitors and visitors were a testimony to the resilient spirits of the farming community and their determination to rise again from the dusts of this season. CEO Jannie de Villiers captured this well, commenting on his huge respect for farmers and the way they attack risk, ‘Despite difficult conditions producers are still prepared to invest in the industry. They didn’t only attend NAMPO to come and look but also to make calculated purchases. They give our people hope!’ he said. Harvest Day chairperson Cobus van Coller also said that part of the value of the NAMPO experience is the opportunity it affords farmers to network and talk to one another and exchange valuable information. Farmers in conversation learn news insights and ways which they can add value to their farming enterprises. The Bureau for Food and Agricultural Policy (BFAP) also conducted a study on ‘The future of sunflower production in South Africa’ in 2015. They acknowledged that sunflowers have become recognised as an ideal crop to grow in South Africa under conditions of lowinput farming and marginal cropping conditions. This is because sunflowers seem to have the ability to produce relatively consistent yields under adverse weather conditions and their overall characteristic of drought tolerance makes it an attractive crop for producers in dryland production. Sunflowers can also produce a crop on marginal soils ‘with very little or no additional fertilisers’ which is very attractive to farmers managing on a tight budget. The one warning they issued was that due to favourable yields produced by other crops like maize and soybeans farmers tend to regard the sunflowers as their fall back or ‘catch crop’ so preference and prioritisation is not given to the timing for optimal planting dates and ideal climatic conditions (for example soils which are too hot or lacking moisture). When sunflowers are planted as a last resort they are left to the bitter end and planted only if it is no longer viable to plant anything else. The effects of this type of decision making will be felt in the lower yields. There are sunflower hybrids available these days which carry the genetic potential to produce higher yields making the crop more attractive to farmers again. The introduction of advanced breeds like Clearfield Plus do offer significant benefits in the management of weeds and even afford farmers opportunities to grow sunflowers in no-till or minimum till farming systems. BFAP’s conclusion is ‘if sunflowers are treated as a cash crop in its own right, it becomes a profitable enterprise to consider’. (You can read more of the report on this link: https://www.grainsa.co.za/thefuture- of-sunflower-production-in-south-africa). Excessive heat conditions can negatively influence germination potential – another reason not to always delay planting sunflowers as a last resort in January’s heat.